Aquascape BioFalls provide biological filtration and help create a beautiful, low-maintenance water garden. 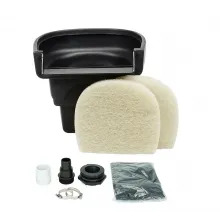 Biological filters are positioned to create the beginning of the waterfall in your pond. 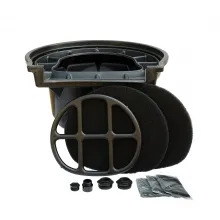 The filter uses bacteria to break down pond wastes, converting them into less harmful compounds that can be used as aquatic plant fertilizers. Water enters the biological filter from the skimmer via flexible pipe located near the base of the unit. The water then flows from the bottom to the top of the filter, traveling through filter media housed inside the unit. 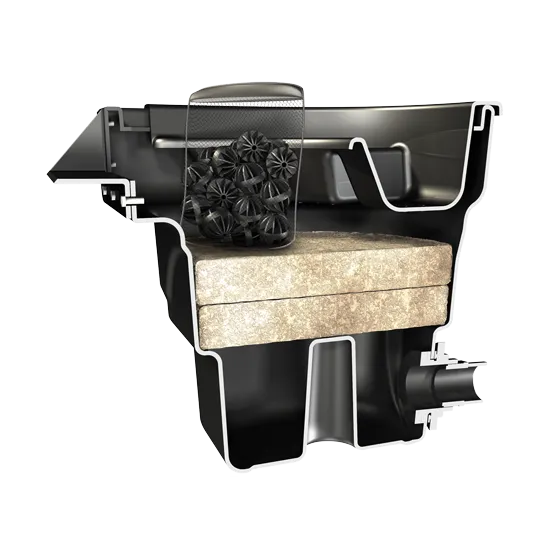 The filter media helps with the removal of fine to medium-sized particles. As the biological filter fills, it overflows and cascades over its waterfall lip, cascading down rocks that have been set to create a beautiful, natural-looking waterfall. The waterfall creates aeration for your pond, assisting in the circulation and health of the water. 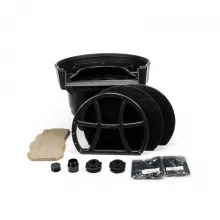 Aquascape BioFalls Filters range in size and can filter ponds up to 10,000 gallons. 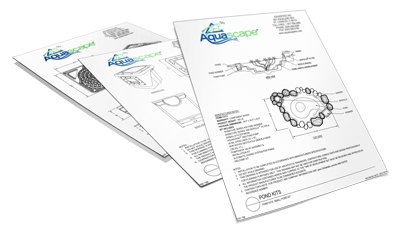 For larger ponds, multiple biological filters can be incorporated into the design. Read “What You Need to Know About Pond Filtration” to learn more about the role biological filtration plays in an ecosystem pond. 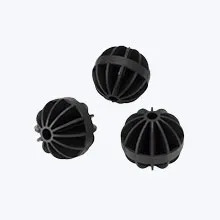 BioBalls Filter Media supports effective biological filtration by providing textured surface area for beneficial bacteria to grow and colonize. BioBalls are sold separately and can be purchased here. 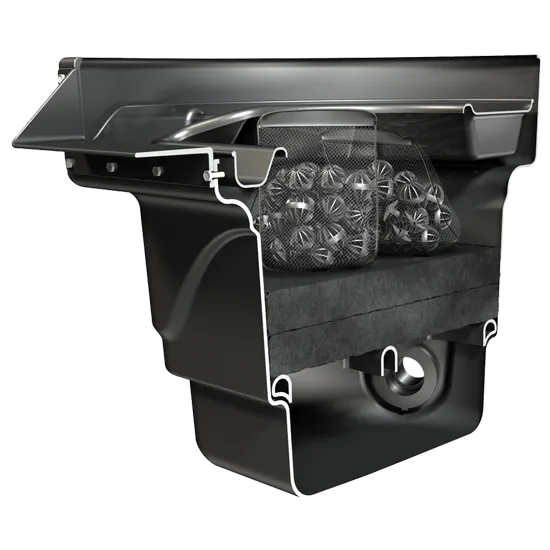 Rock tray (sold separately) can hold rocks, plants and gravel, helping to naturalized the filter into the surrounding landscape. 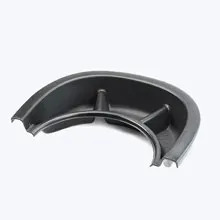 The rock tray is sold separately and can be purchased here. Aquascape BioFalls can be buried in the ground to create the beginning of a stream or raised to create the start of a beautiful waterfalls. The top of the filter can be filled with aquatic plants or accent stones, allowing the BioFalls to be completely camouflaged into the landscape.